The rebrand, which took place in 2014, has finally become offical. The Union of UEA Students will have completed its official branding change to UEA SU from the 1st August 2016. The Union underwent a rebranding in 2014, but remained officially UUEAS until this year. According to former Postgraduate Education Officer, Liam McCafferty, this was due to “the view of management committee at the time that we should remain UUEAS partly out of convenience, but also out of the belief that not just being like every other SU was a key part of our identity reflected in our name”. Incoming Campaigns and Democracy Officer, Amy Rust, described the changes as “part of the wider ‘Students Transforming’ rebrand. In August 2014 we decided to phase out the use of the shorthand UUEAS in favour of the simpler ‘UEA Students Union’, ‘UEASU’, or just ‘the SU’. This followed feedback from students (especially international students) that they found ‘UUEAS’ baffling. This summer we are updating further with minor changes to Web assets and logos. Our official legal name hasn’t changed and we update our branding guidelines annually”. So, our Union has now been officially rebranded. No longer will UEA students be affiliated with the Union of UEA Students, but rather with the UEA Students’ Union, and will be able to gaze proudly upon promotional materials fully in alignment with those of the NUS. Do try to contain your excitement. Flippancy aside, these developments do invite the question of whether such efforts will help the SU engage with a student body which is, when it comes to matters of union politics, overwhelmingly apathetic. Without wishing to be blunt, the answer is a resounding ‘no, of course not’. 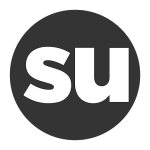 Many students who can remember the look of Union House and SU materials prior to the redesign may well, if asked, praise the clean, bold aesthetic of the new logos. Yet, to assume that the feelings of detachment many feel towards the Union can be remedied with such seemingly superficial changes is to miss the point. The views of the Student Union’s apolitical students tend to fall into three camps. There are those who see the system as an overly bureaucratic mass that would continue ticking over regardless of who wins officer elections. Then are those who feel that the SU may well play an important role in the day to day administration of student affairs but is ultimately powerless and largely insignificant in the grand scheme of things. Then there are those, slightly more cynical, who view it as nothing more than a platform allowing ambitious students to beef up their CVs before shooting for a career in politics. Furthermore, many are well aware that the one year terms served by officers mean that newly elected representatives spend more time getting to grips with the internal workings of the union than working to fulfil their campaign promises, effectively rendering the dozens of carefully constructed manifestos floating around campus during spring semester meaningless, deepening students’ disillusionment. If the union – or, indeed, prospective union officers – wish to take real steps towards increasing participation among the disaffected majority, then they would do well to look beyond the marketing and branding of the SU. There are many who are not aware of what UUEAS is, or what it does, but this cannot simply be resolved through the rearrangement of an anagram. The union would do well to follow the lead of flip-flop wearing Oxford student Louis Trup, who in 2013 announced his campaign for the presidency of the OUSU with a ‘personifesto’ (‘manifesto’ veering uncomfortably close to sexism) scrawled in crayon promising, among other things, to create ‘SocSoc’ by amalgamating all other societies, to establish an on-campus monorail service, and to eliminate ‘fifth week blues’ by eliminating fifth week itself. This unapologetically irreverent candidate utterly trounced his rivals, beating his closest competitor by 960 votes, and won the admiration of students across the country. In doing so, he demonstrated exactly what kind of alternative many would prefer to the almost oppressive earnestness of many student politicians on the campaign trail. He acknowledged that manifesto promises are widely seen as meaningless, and that the vast majority of students would prefer to feel as though they were represented not by a careerist from the same political bubble as most candidates but by an outsider much more familiar with the decidedly apolitical concerns of the student body. Crucially, Trup’s landslide victory set a precedent. It showed students that they could engage with union politics without fitting themselves into the established paradigm, and that a satirical approach to campaigning could place anybody, regardless of the issues they choose to address, in a position of power. That is not to say, of course, that an influx of such playful candidates would lead to a complete shift in students’ perception of their union – funding issues would remain, as would the dense bureaucracy, as would feelings of futility. But as a way to kickstart the process of increasing student participation, it is demonstrably more effective than freshening up the union style guide. Remember everyone, it’s not cool to care. Make sure everyone knows how little you care by writing articles online about it. The official trading name has been uea su for over a year now, if you’d bothered to look up the info on the charity commission instead of using this as a cheap attempt at point scoring. The union funds concrete, yet there is a continuing attitude that it’s edgy to constantly slate the union.